Working with children is as challenging as it is rewarding. As we know, children perceive and interpret their world very differently than adults. As children develop they begin to understand their lives and their influence on it in different ways. While they grow their understanding and expression of their emotions become more complex, which makes it difficult for children to articulate what they are feeling. This becomes a challenge for the therapeutic process. 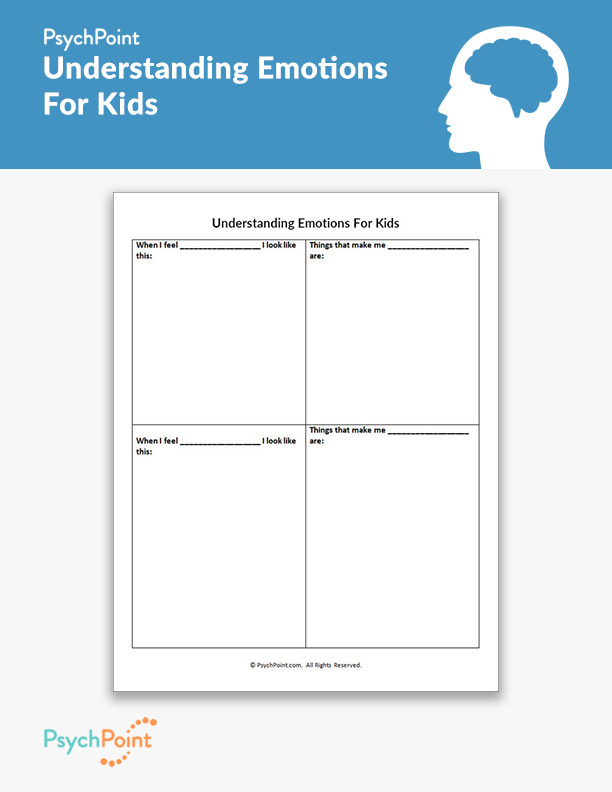 This is an Understanding Emotions for Kids worksheet. Children express themselves in different ways, and many have a hard time verbally expressing how they feel and why they feel that way. Especially in circumstances with trauma and abuse, it can be difficult to establish an understanding of the emotions the child feels as they work through their experience. 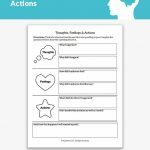 This worksheet provides space for the children to reflect and express how they are feeling and why they are feeling this way. On this worksheet the child is asked to express what the given emotion looks like and what makes them feel that way. The child is free in the space to draw, write, or cut-and-paste what they need to express how they feel. Each child is different and sometimes they are able to express some emotions well while others they struggle with. 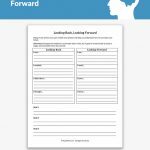 This worksheet does not outline the emotion to express, but rather leaves a space for the therapist to fill in the emotion needed in the moment. The therapist’s role is to work with the child by filling in the blank with the emotion that needs to be discussed and understood by both the child and therapist, then sit with the child as they follow through with the task. The child will be asked to express what they look like when they are feeling the emotion in question, and then asked what makes them feel that way. 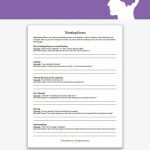 This worksheet is great for focusing on specific emotions and emotional issues, and finding the triggers and reasons behind the emotional disturbance. It is also enjoyable for the child and does not place pressure on them, so they will feel comfortable to play and explore while having fun.